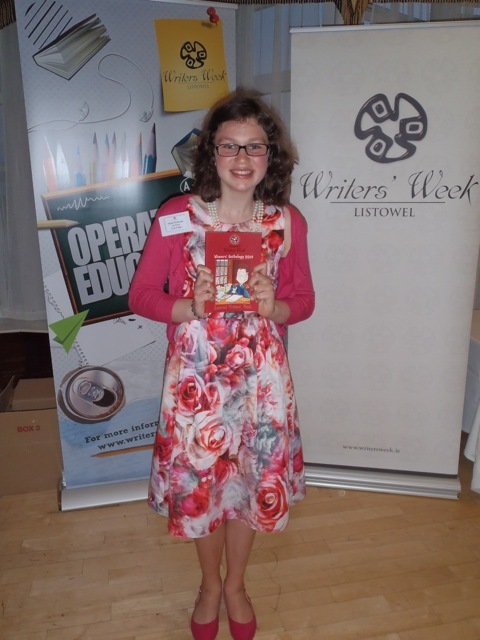 We had a very special time at Listowel Writers’ Week from 28th May – 1st June. I was lucky enough to spend time with one of my favourite writers, Douglas Kennedy. I learned a lot from him about writing and about life. My wonderful students Ciara Hogan and Sarah McKenna collected their prizes at the awards ceremony and saw their work published alongside top Irish writers Donal McCann, Deirdre Madden and Eimear McBride. Here is a photo of Sarah at the ceremony holding the anthology of winning stories!